The Global Application Modernization Services Market size is expected to reach $17.7 billion by 2023, rising at a market growth of 18% CAGR during the forecast period. Application modernization services are used to migrate legacy to applications or platforms. The system is used in integration of new functionalities in the pursuit of offering latest functions to the business. Growing need for agility in businesses and faster time to market, optimal use of big data technologies, and adopting cloud computing in the application modernization strategy are the factors that drive the market during the forecast period. Based on Services, the market report segments the market into Application Integration, Application Replatforming, Application Portfolio Assessment, Cloud Application Migration, and Modernization. Based on Organization Size, the market report segments the market into Small & Medium Enterprises and Large Enterprises. 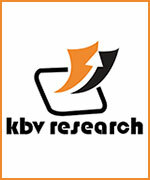 Based on Verticals, the market report segments the market into BFSI, Telecom & IT, Government, Healthcare, Manufacturing, Retail, and Others Based on Regions, the Global Application Modernization Services market segments the market into North America, Europe, Asia Pacific, Latin America, Middle East and Africa. The market research report covers the analysis of key stake holders of the Global Application Modernization Services Market. Key companies profiled in the report include Atos, Accenture Plc., Cognizant, Hewlett Packard Enterprise (HPE) Company, Fujitsu Limited, IBM Corporation, Oracle Corporation, Macrosoft Inc., Micro Focus, and Asysco.